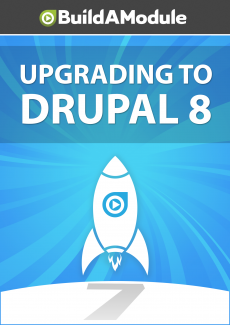 There was a lot of planning that went into Drupal 8's administration theme. Here we take a look at Drupal 8's admin style guide, explore some of the new conventions that were introduced, and talk about the implications for contributed modules. In Drupal 8 there was a style guide established for the administrative section. You can go to this page here, groups dot Drupal dot org slash node slash 283223, and scroll down to see the specifics of the guide. There's a particular color palette that includes high contrast colors, there's instructions for typography, and as you scroll down virtually every element that you'll see in the administrative interface has been established here. This means several things. First of all, Drupal 8 is able to take advantage of some design patterns that really weren't in common usage in Drupal 7. For example we have dropdown buttons where you can click in arrow next to the button to display a dropdown.